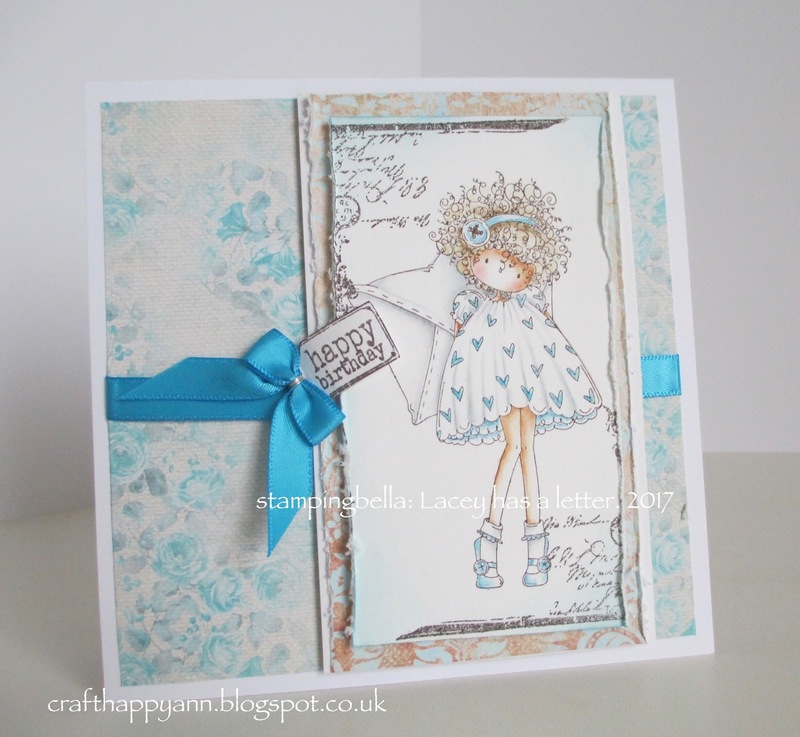 popping in today to share another of the super cute images from stampingbella. today's share is a cas card and my image is called Lacey has a letter and again I've used my distress ink to coloured her with. isn't she adorable?